Seems like I may be a bit behind the times, because when I watched the Mary Portas show ‘What Britain bought in 2015’ it was the first time I’d really heard of the spiralizer, despite apparently everyone else in the country having gone mad for them in 2015! 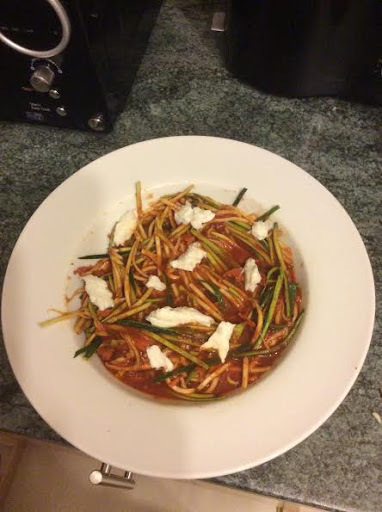 At first I was sceptical, it seemed like putting some of the pages of the spiralizer cook books through a shredder and boiling them might make tastier meals than the ‘noodles’ that the spiralizer produced. 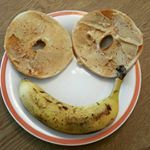 Plus, having got sucked into the Nutribullet health craze last year, I was reluctant to clutter up our kitchen with another gadget that would only get used until I got bored. I was intrigued though, if there was any way you could make a vegetable as tasty as pasta for zero sps, I definitely wanted to try it! Previous Post Nando’s – to splurge or not to splurge? Next Post Yes, you can have your (pan)cake and eat it!